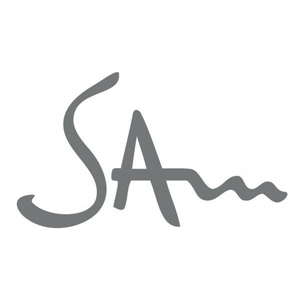 SAM is 45 minutes from Florence, 30 minutes from Pisa and 40 minutes from the sea. You can also conveniently reach the Tuscan art cities in one hour. Below is a list of the countless historic cities, cultural attractions, and stunning sights you can see in the region of Tuscany. Traditional Tuscan foot is also incredible. You can eat and drink in the close proximity of the studio or find a place nearby to enjoy Tuscan world-famous traditional cuisine and fantastic panoramas. Walking through Florence historical centre you can admire fantastic masterpieces: Giotto's bell tower, Brunelleschi's dome, the famous Michelangelo's "David", the Franciscan church of Santa Croce, Piazza della Signoria and its majestic Palazzo Vecchio, the Uffizi where you can admire famous paintings of Botticelli, Michelangelo, Leonardo da Vinci, Raffaello, Giotto, Cimabue and Masaccio. The historical university city of Pisa is famous for its architectonic beauties such as the famous Leaning Tower and Piazza dei Miracoli. Volterra is a jewel of the Etruscan, Roman, Medieval and Renaissance art and it dominates from a height of 550mt the surrounding valleys to the sea. On a clear day you can see the Tuscan archipelago and Corsica. In the historical centre of Siena you can walk through narrow Medieval streets, admiring the fantastic buildings until you reach Piazza del Campo, one of the most beautiful in the world. In Lucca, inside the famous 16th century walls, you can visit the astonishing Piazza Anfiteatro, the Medieval church of San Frediano, the Guinigi Tower, San Martino cathedral, San Michele in Foro church and the typical "street of antic dealers". San Gimignano, a small town which has remained untouched throughout the centuries, is famous for its numerous towers, its frescos and other art treasures. You can find wide sandy beaches in Tirrenia and Marina di Pisa, located between Pisa and Leghorn. South of Leghorn there are beautiful cliffs, clear water and coves, which you can reach through stairs carved in the rocks, and more beaches: Cecina, Baratti, Follonica, Punta Ala and Argentario. In Vada you can find a surf school and a diving school in Leghorn. Northward, from Viareggio to the Gulf of Poets, you can find wide sandy beaches from Versilia (Forte dei Marmi, Pietrasanta and Camaiore) to the border with Liguria, land of Cinque Terre. Traveling through Tuscany's wine routes you can taste world-famous prestigious wines and discover places worth visiting. In Casciana Terme, 8km away from Lari, you can relax at the spa in the natural hot spring outdoor pools and with body treatments. At the Villa Borri spa you can find an exclusive health farm located in an 18th century manor house. Several riding schools and farm holidays offer horseback rides. They offer excellent breakfasts from typical Italian espresso to cappuccino, from a large variety of pastries (stuffed with ricotta, pears and chocolate, rice, apple, jam or cream) to delicious pizza and sandwiches. At Il Ponte coffee bar you can also have a quick lunch with pasta, salad or sandwiches. A refined restaurant with excellent Tuscan cuisine and a rich wine selection. In summer you can eat outside beneath the walls of the castle of Lari. Price: €32 - €55. Closed on Mondays and Tuesdays. Typical Tuscan restaurant with a terrace on the medieval walls of Lari. Price: €20 - €30. Closed on Wednesday. A restaurant with a good quality/price ratio, with a patio and nice meat and fish dishes. Open till late. Price: €10 - €30. Open every day. In a rural setting you can experience the tastes of the tradition thanks to the wood-fired brick oven and bioproducts. You can taste fantastic meat straight from the farm's pastures. Prezzo: €20 - €35. Open on request. A 30's tavern. The Virginia creeper pegola projects its shadow in order to keep an ideal temperature even in August. You can have tipical Tuscan dishes such ad "zuppa", pasta with game sauce or mixed grill meat. Good quality/price ratio. Prezzo: €15 - €30. Closed on Wednesday. An inn which reinterprets Tuscany's typical dishes. Average price: €35 Closed on Mondays. Open for dinner only. If you are in a hurry, you can stop here for a quick meal. Wood-fired brick over, very good pizza, old Italian style restaurant. Price: €10 - €20. Closed on Wednesdays. In the centre of Crespina, a village near Lari, Boccondivino tavern has a welcoming atmosphere and offers excellent meat dishes. It is perfect for romantic dinners. On Mondays, Tuesdays and Wednesdays you can have pizza upon request. In Summer, you can have dinner on the striking terrace overlooking the valley. Price: €20 - €40. Closed on Thursdays. Excellent food, very good presentation, a nice location and refined furniture. Great fish dishes. Open till late. Price: €26 - €36. Open everyday until late (3 a.m.). Very large restaurant. Very rich starters. Wood oven for pizza lovers. Average prices. Rich wine and rum selection. Price: €20 - €30. Closed on Mondays. Very simple location offering wood-fired brick oven pizza and traditional Tuscan dishes. In the warmer time of year you can eat outside, enjoying the breathtaking panorama. In Summer it is often crowded. Price: €15 - €25. Open for dinner, Wednesdays to Sundays. Typical restaurant with traditional food. Food quality is very high. Only meat dishes are served, especially with truffles and mushrooms. Rich wine selection. Location is simple, atmosphere is warm and welcoming. Rooms are small with barrel vaults and wooden tables. In Summer you can eat outside on the terraces. Price: €35 - €50. Closed on Mondays. Simple location, friendly staff, rich menu, excellent fish dishes, delicious fresh pasta. Traditional Japanese sushi restaurant. Warm and welcoming atmosphere. Nice dishes, great sushi. Price: €35 - €50. Closed on Mondays, open for dinner only. One of the best fish restaurant in the areas of Pisa and Leghorn. Raw and cooked fresh fish, great quality. Nice selection of white wines and champagne. Very small restaurant, you can eat inside or outside. Price: €40 - €55. Closed on Mondays and from 27th December to 18th January. Open Wednesdays to Sundays, dinner only. Excellent food, fresh fish dishes. Price: €26 - €43. Closed on Mondays. Open for lunch only on Sundays.